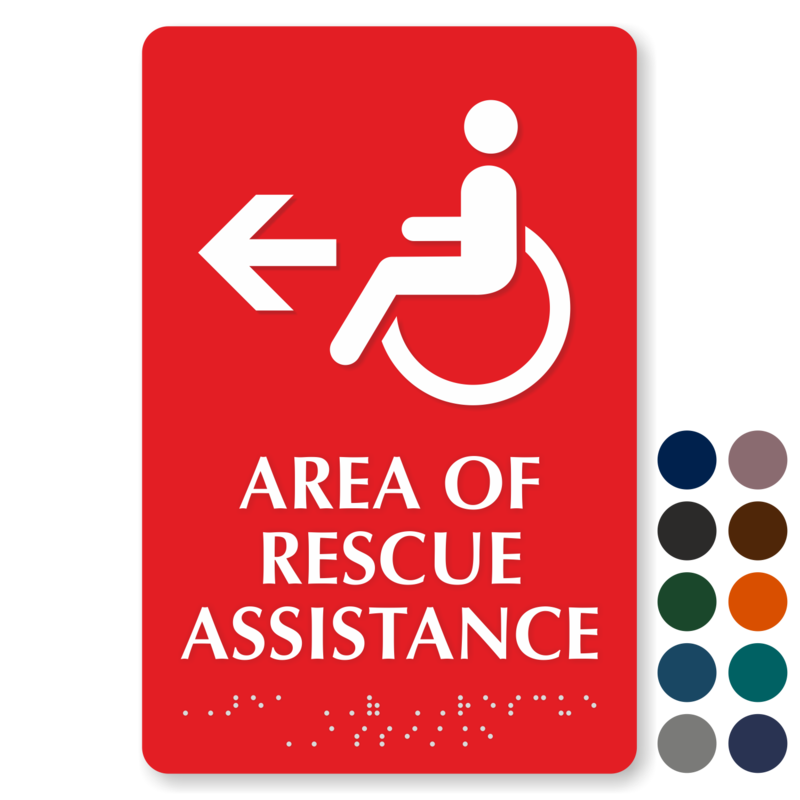 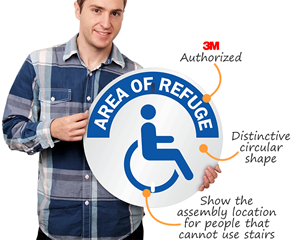 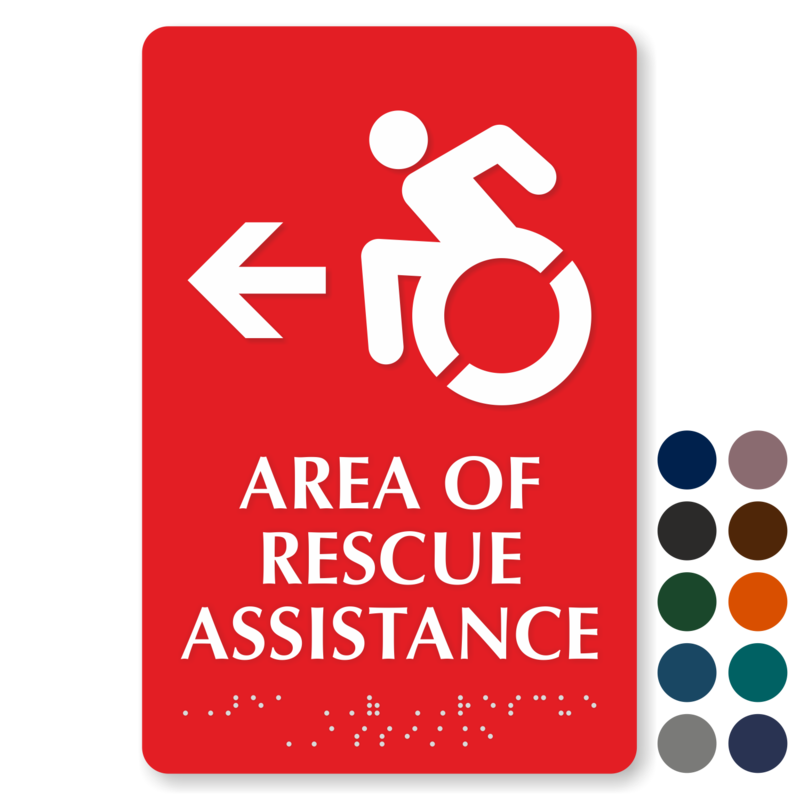 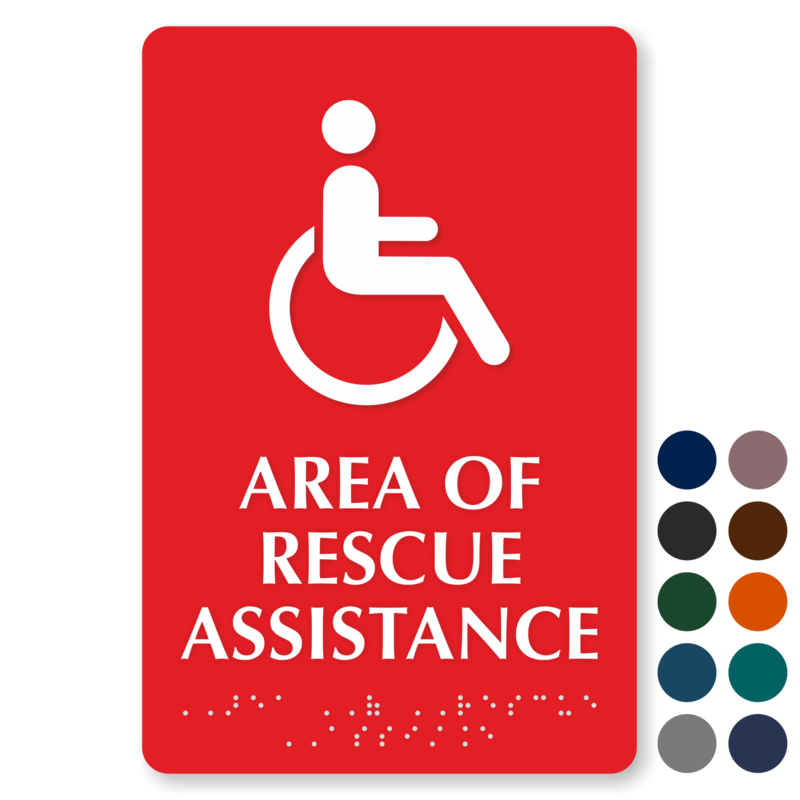 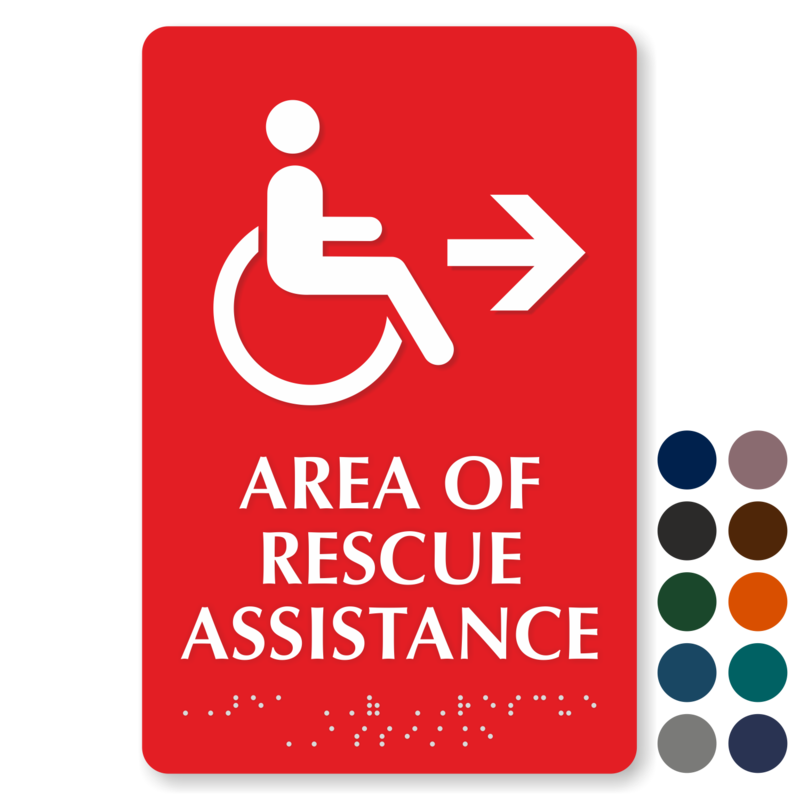 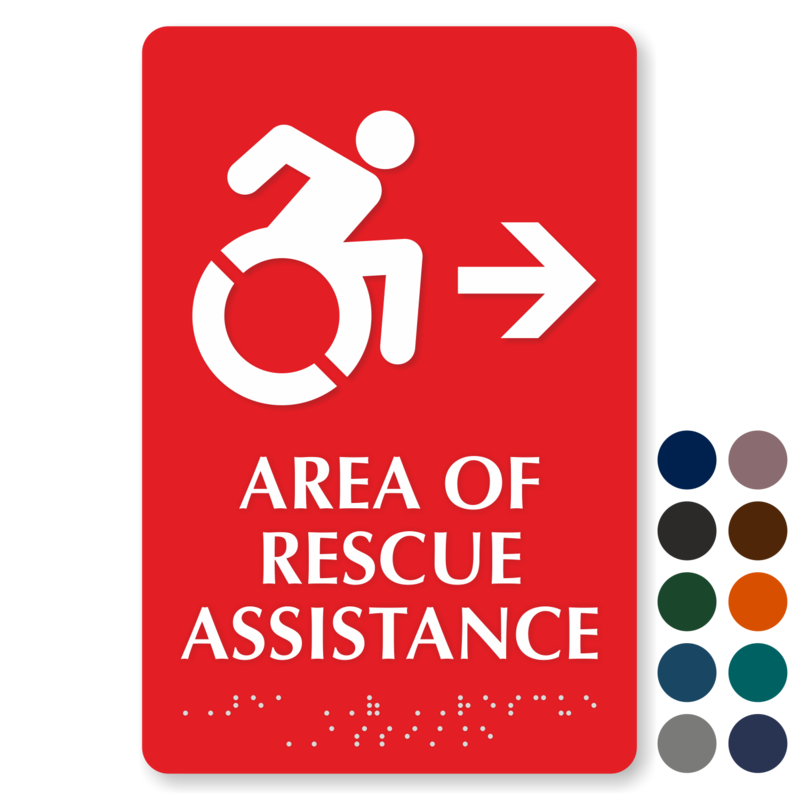 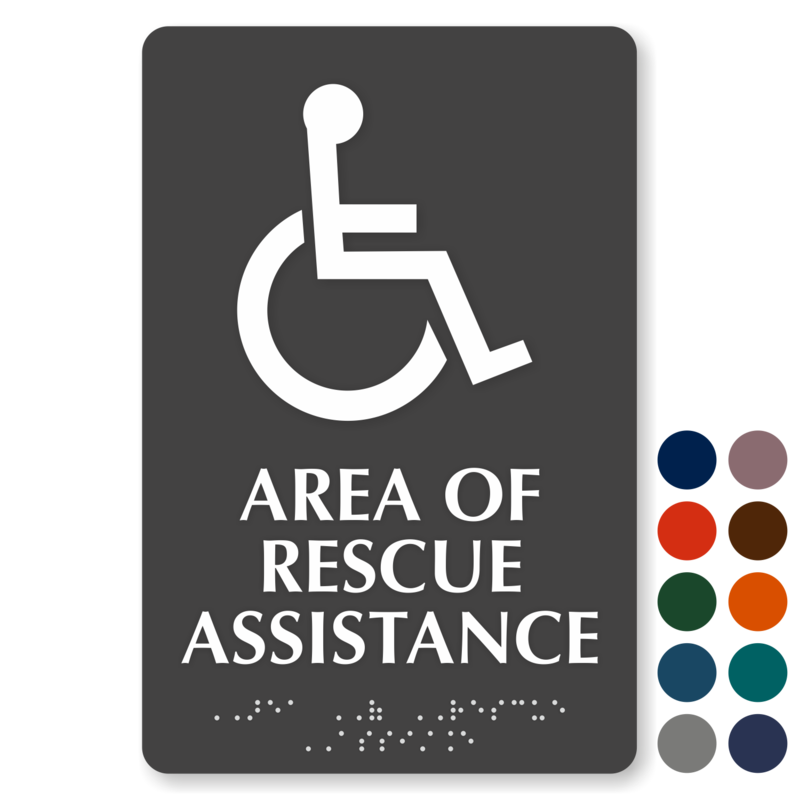 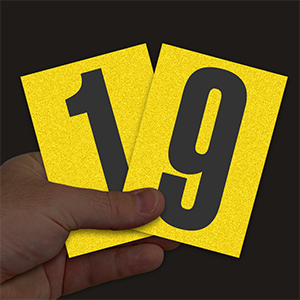 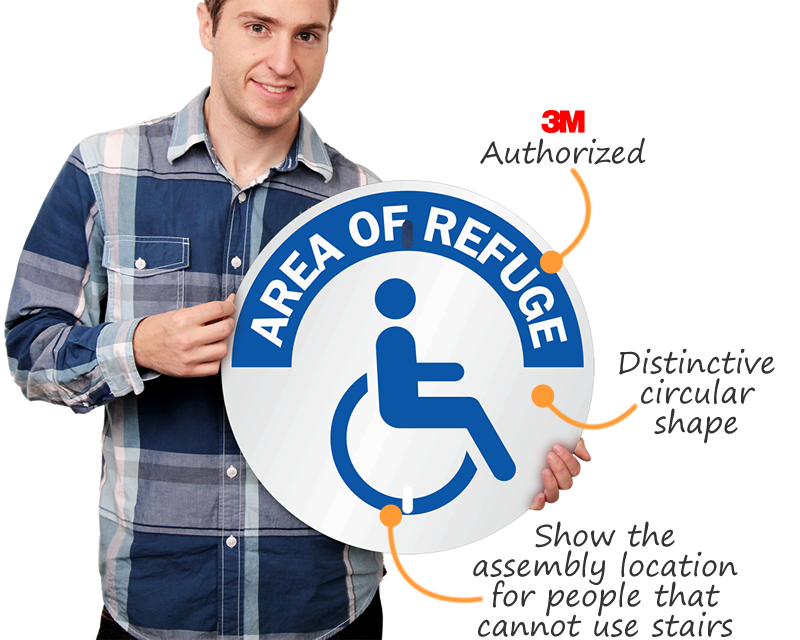 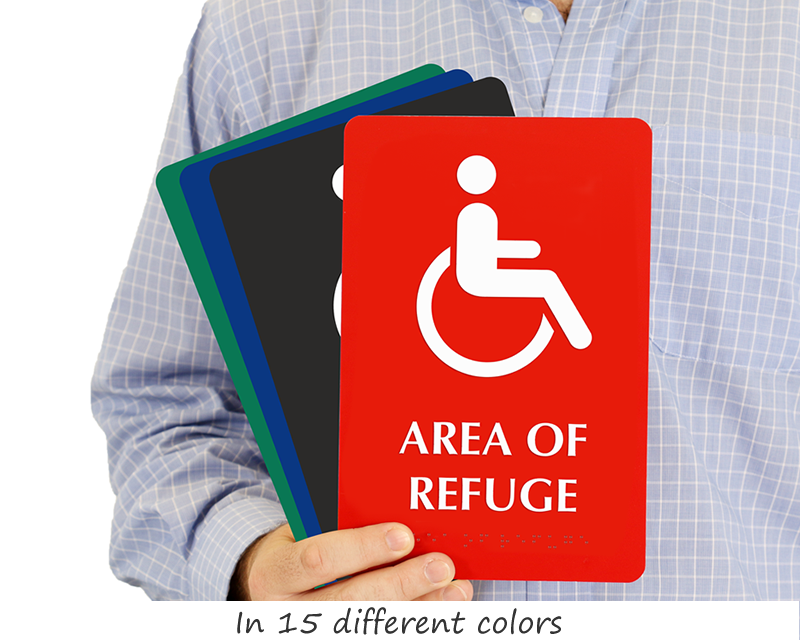 Take a huge first step to safety with Braille or photoluminescent signs. 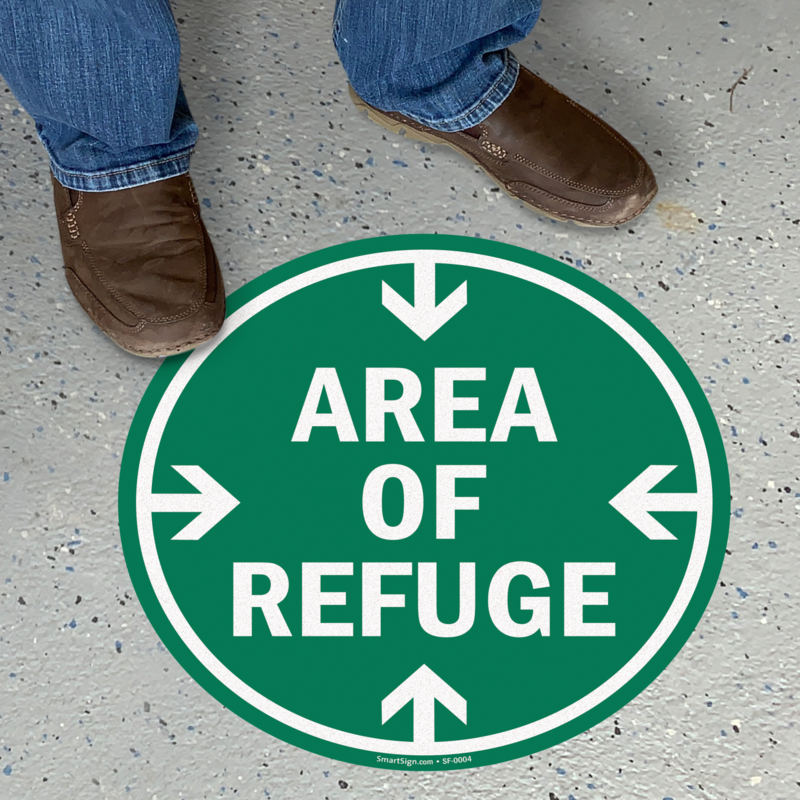 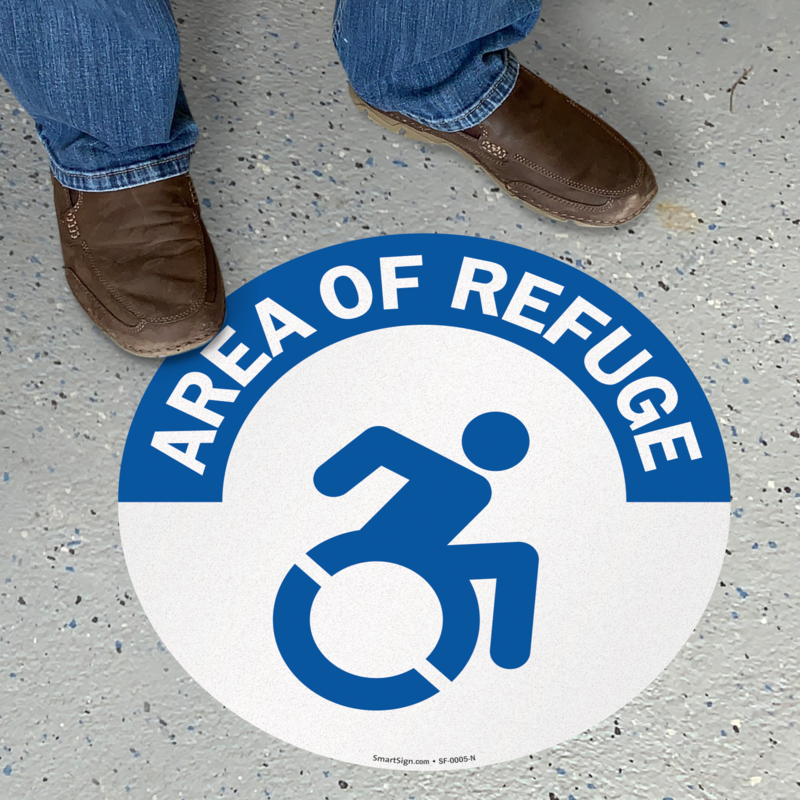 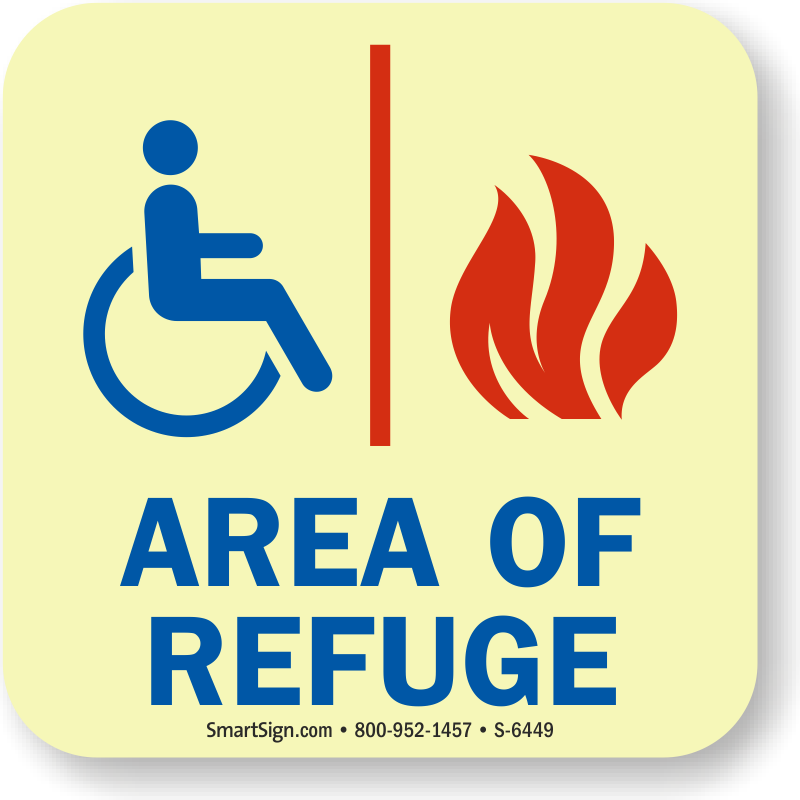 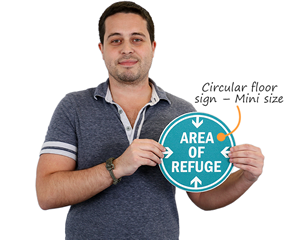 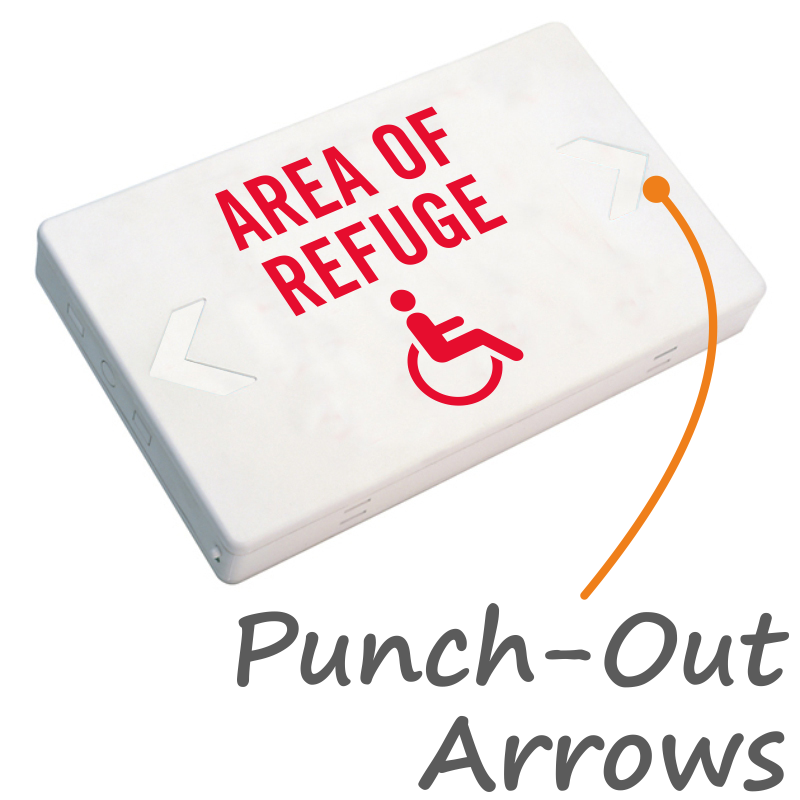 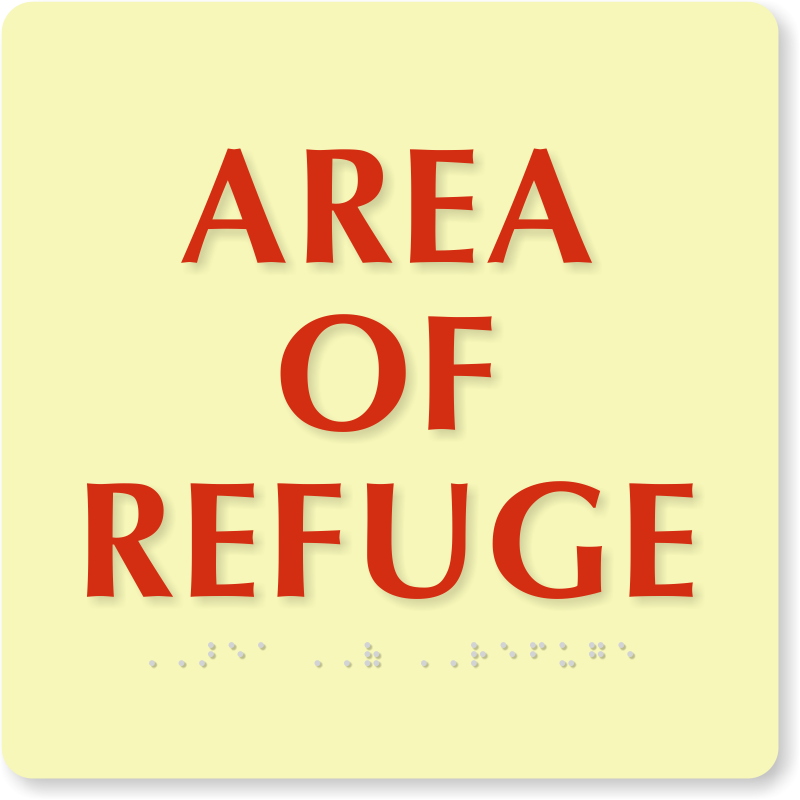 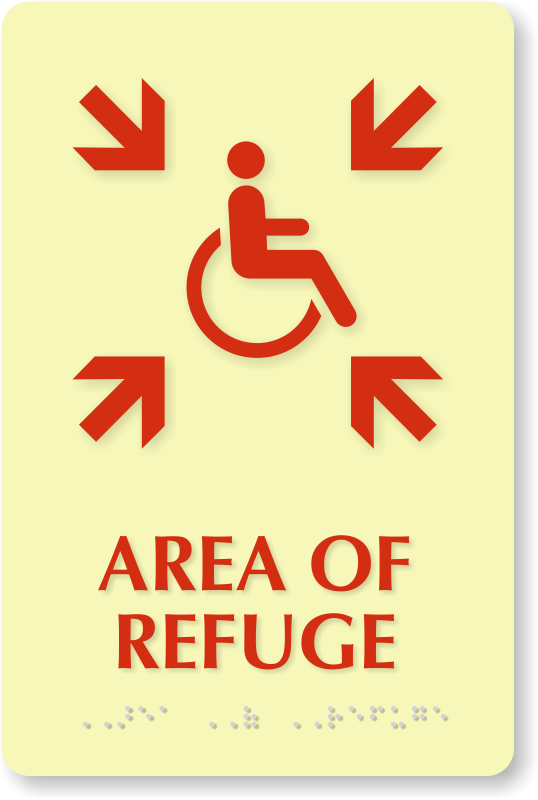 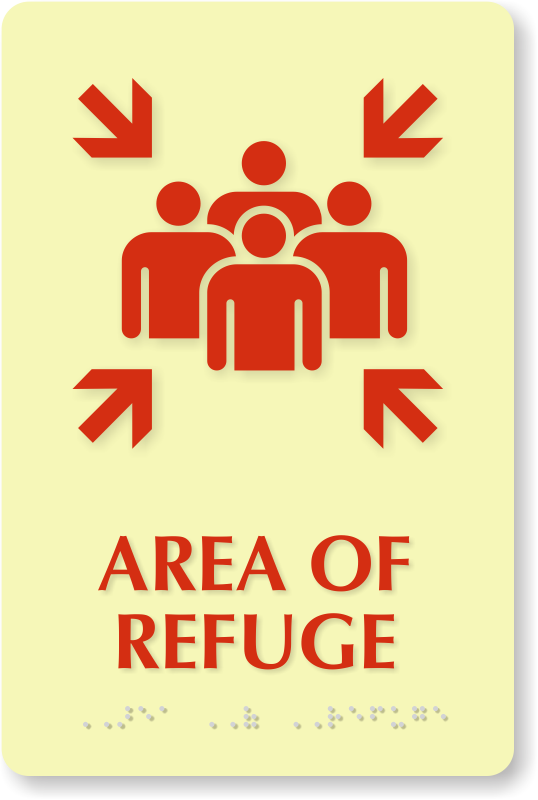 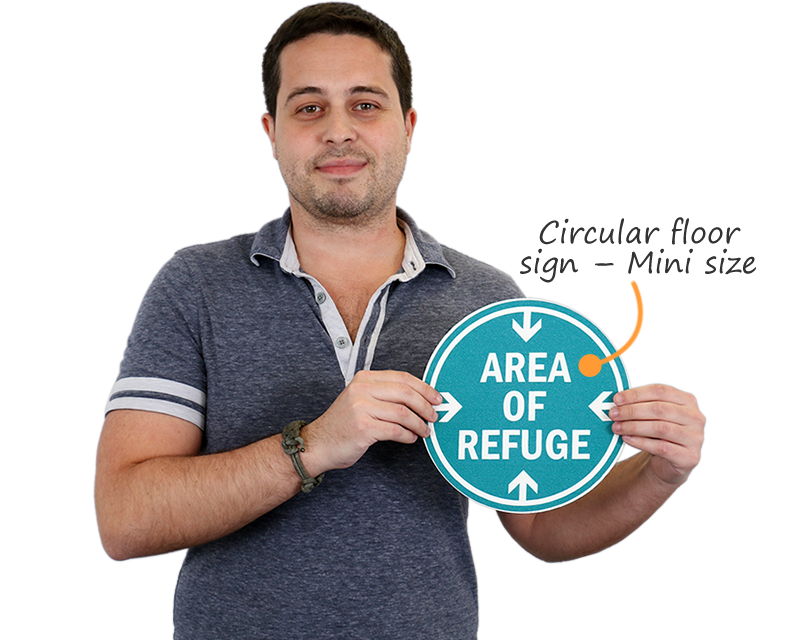 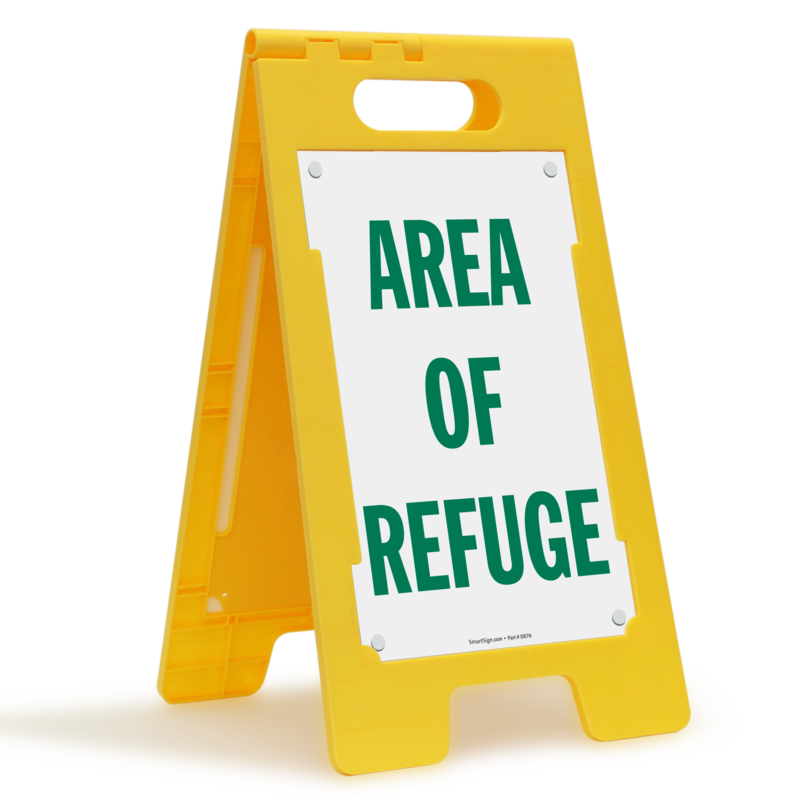 The 2003 International Building Code requires a clearly marked path to every area of refuge. 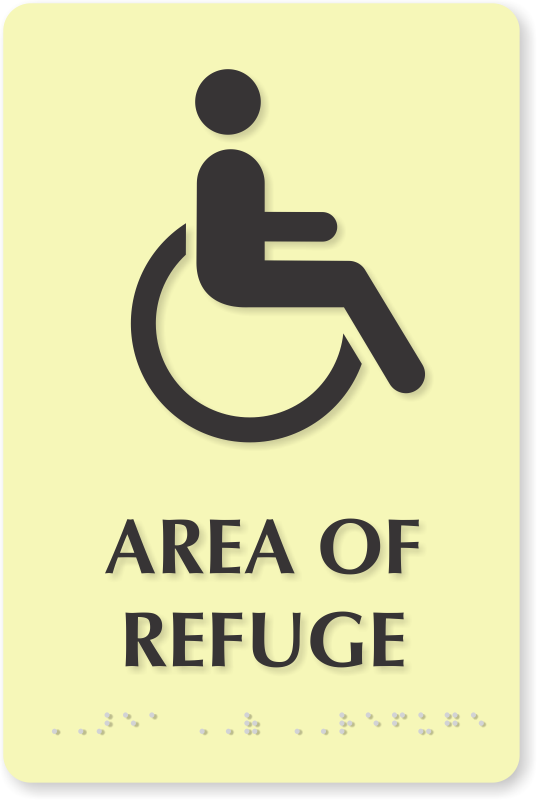 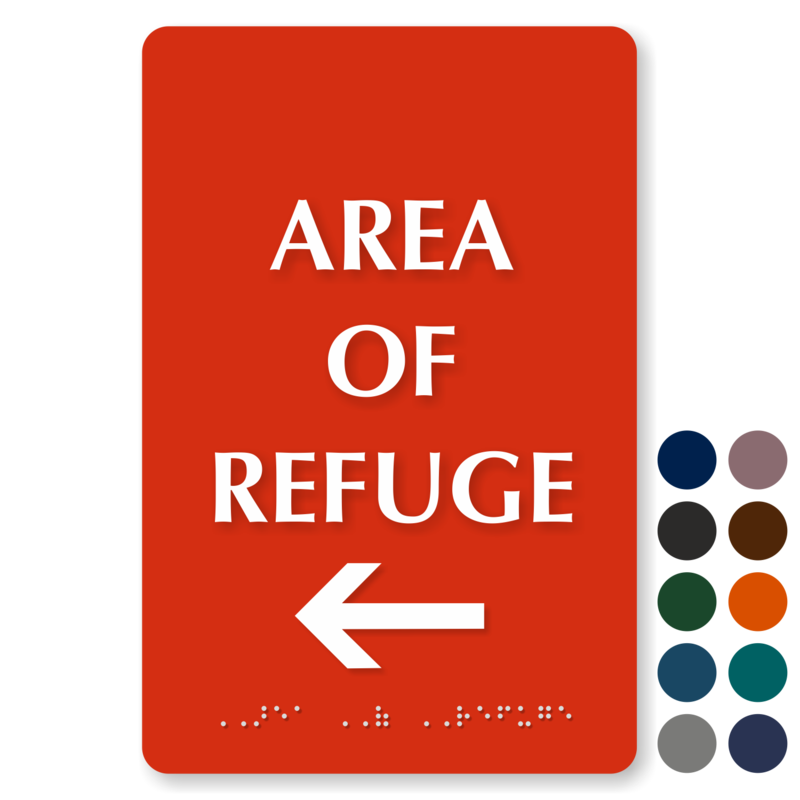 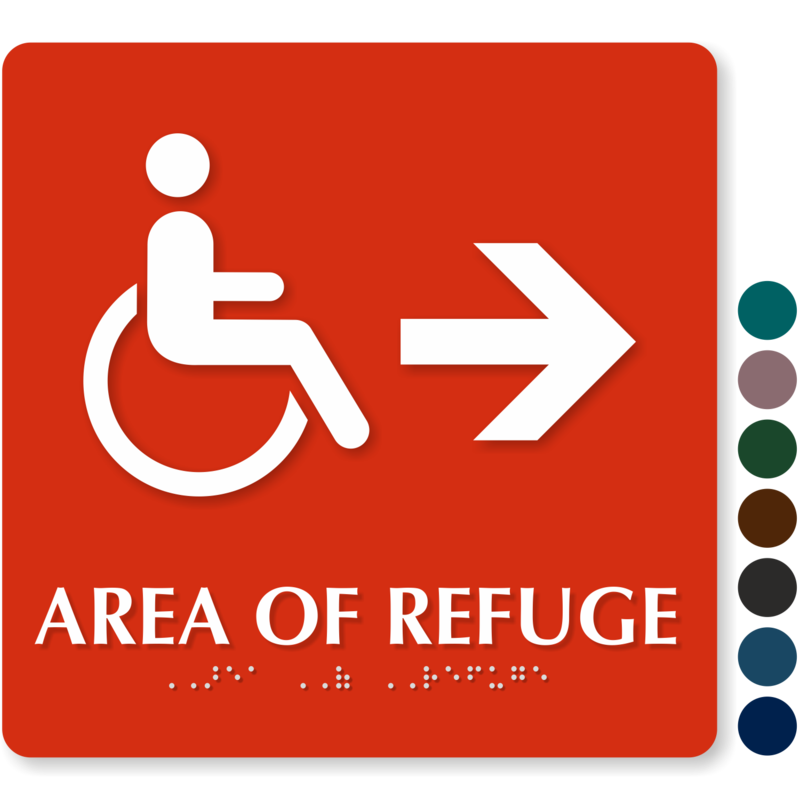 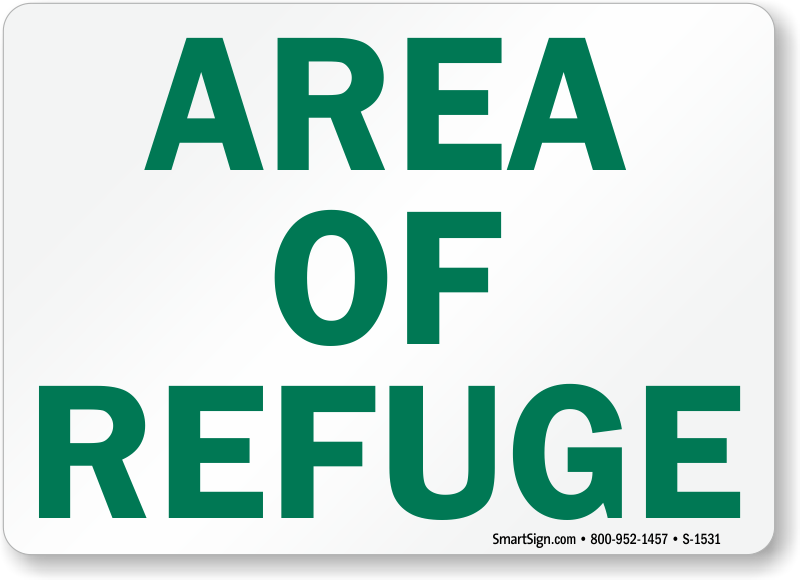 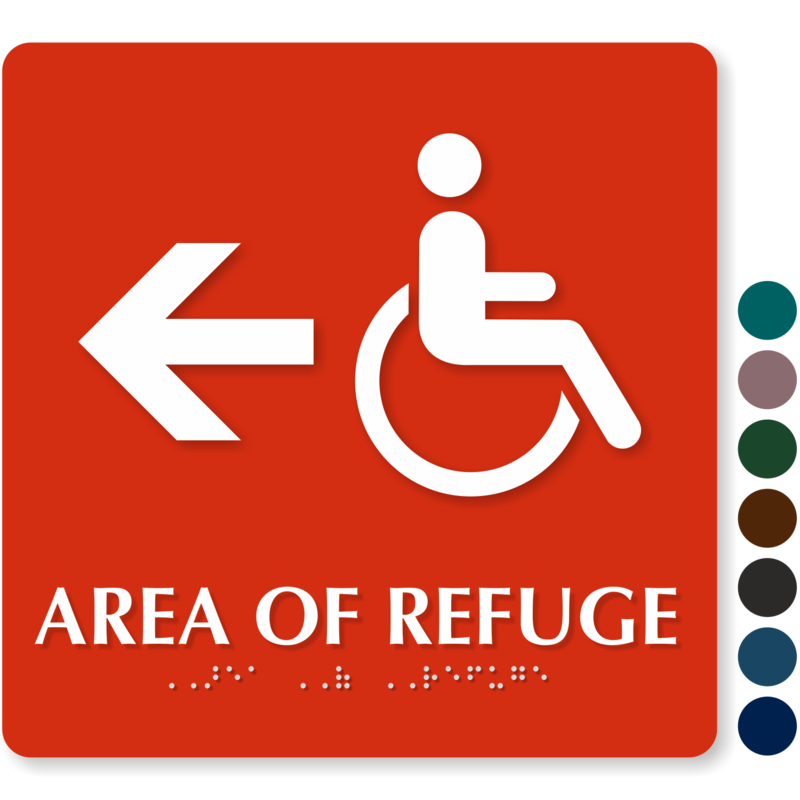 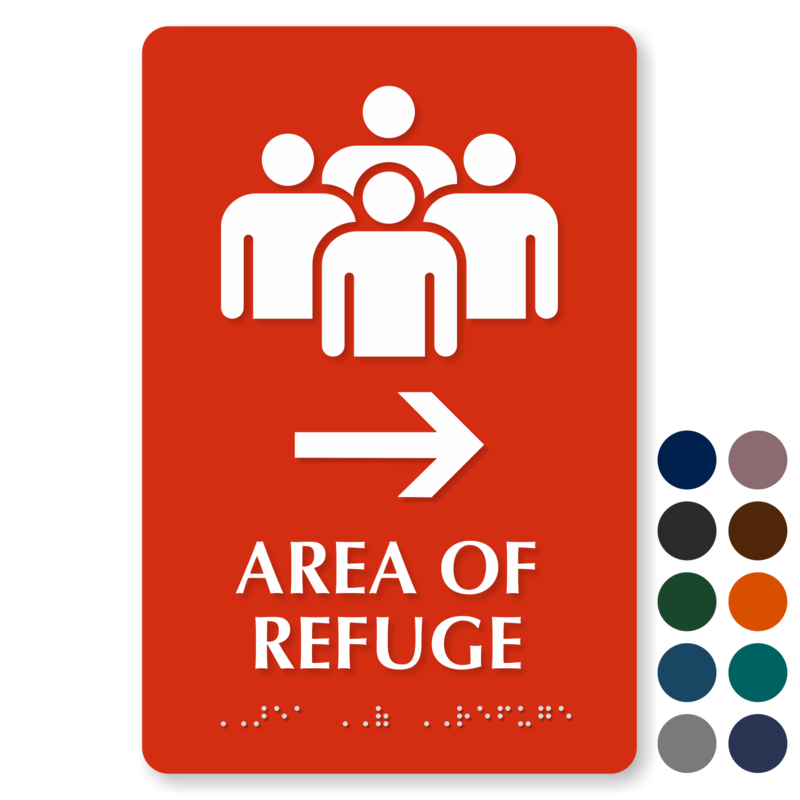 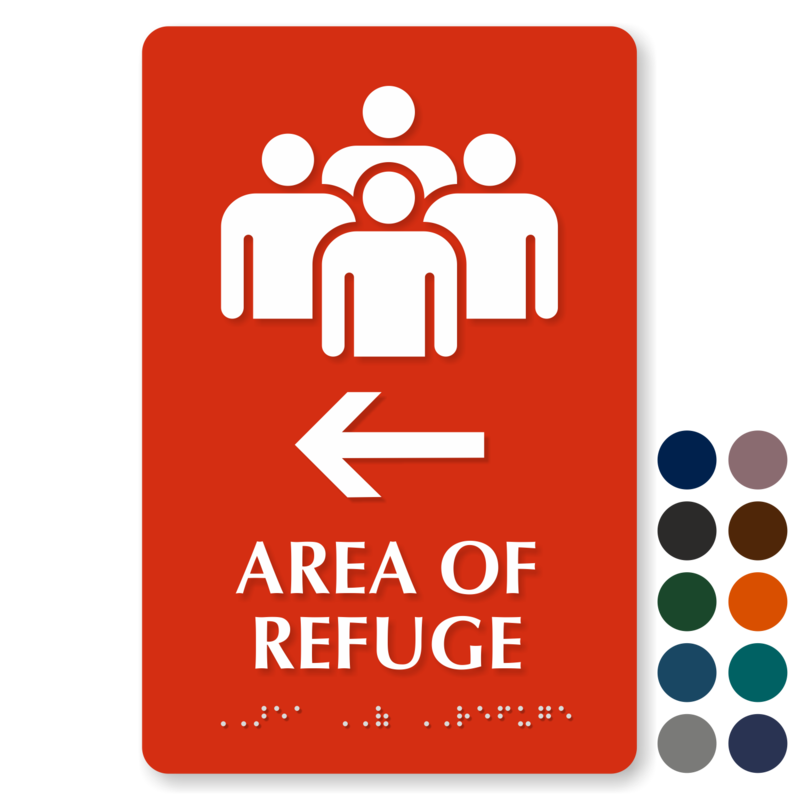 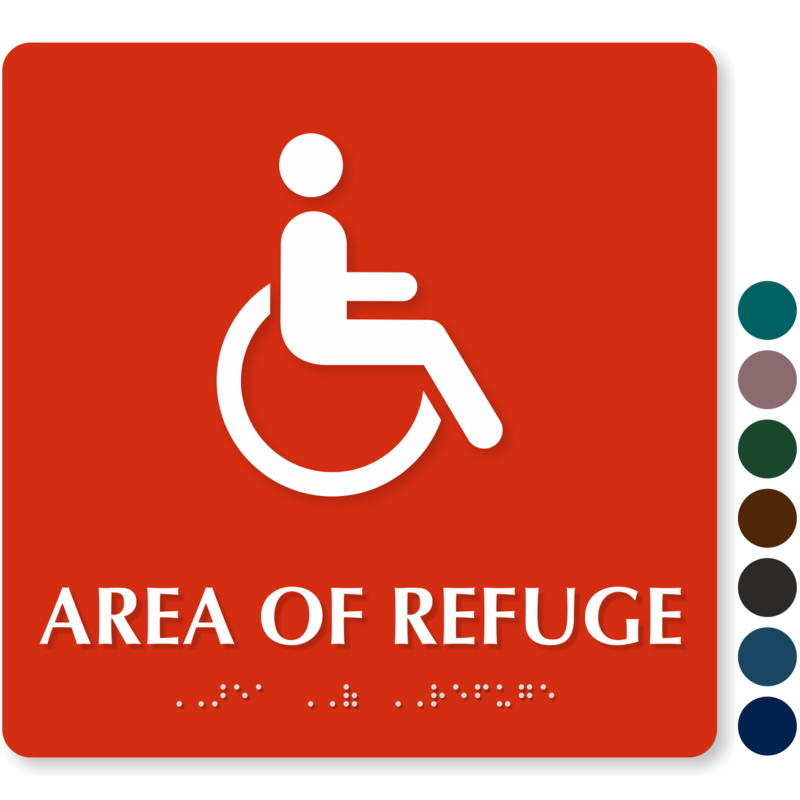 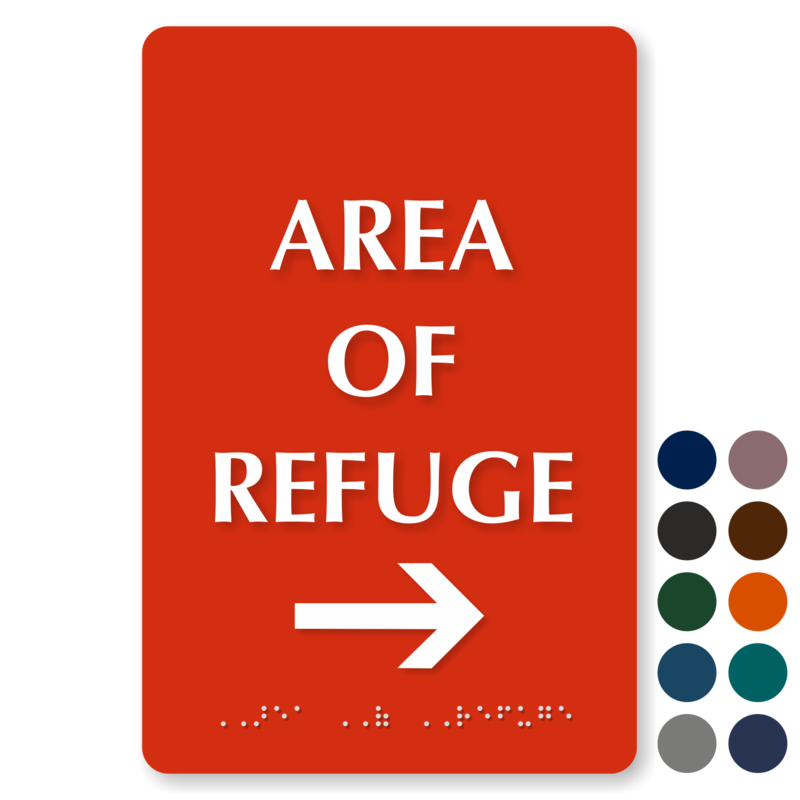 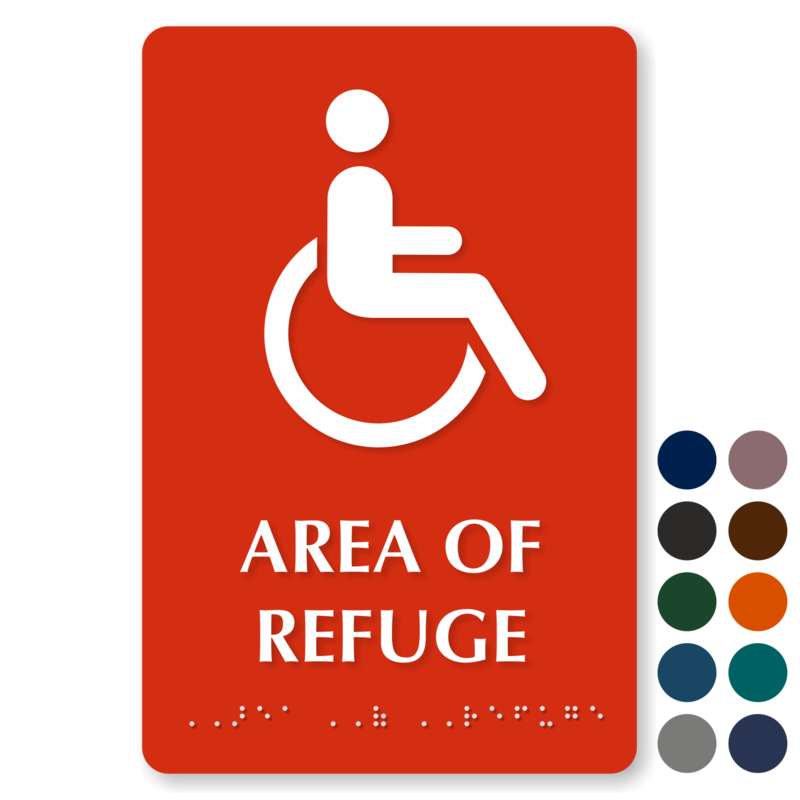 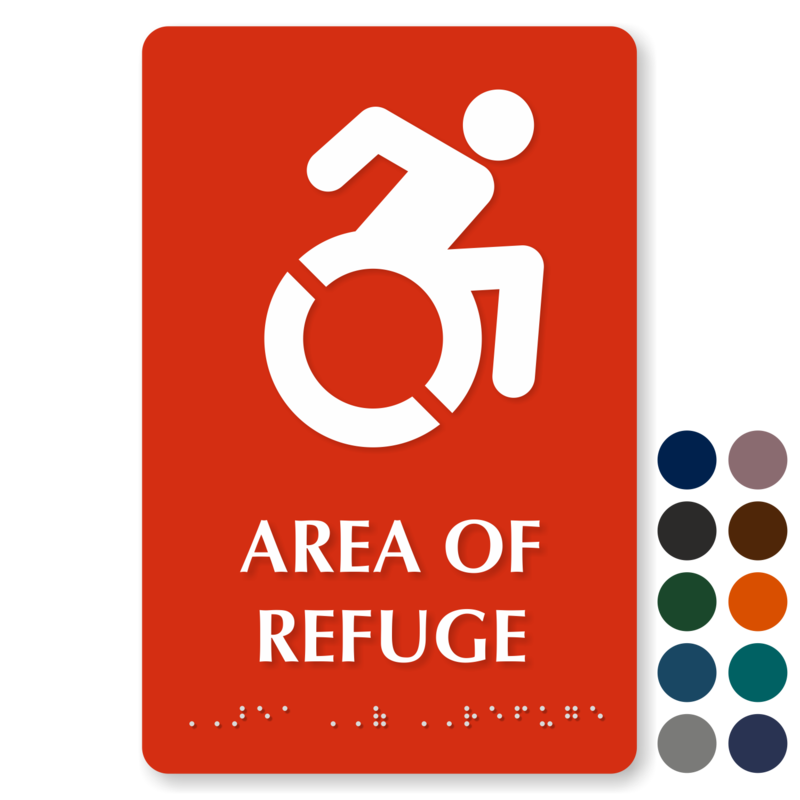 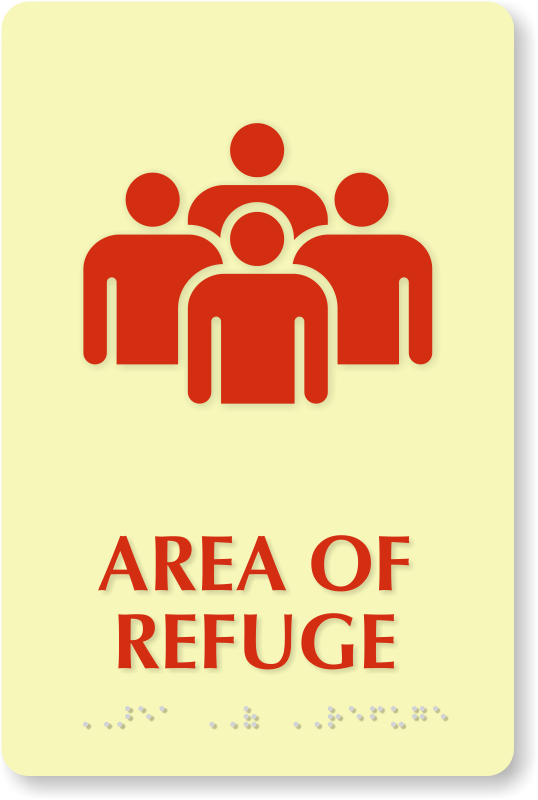 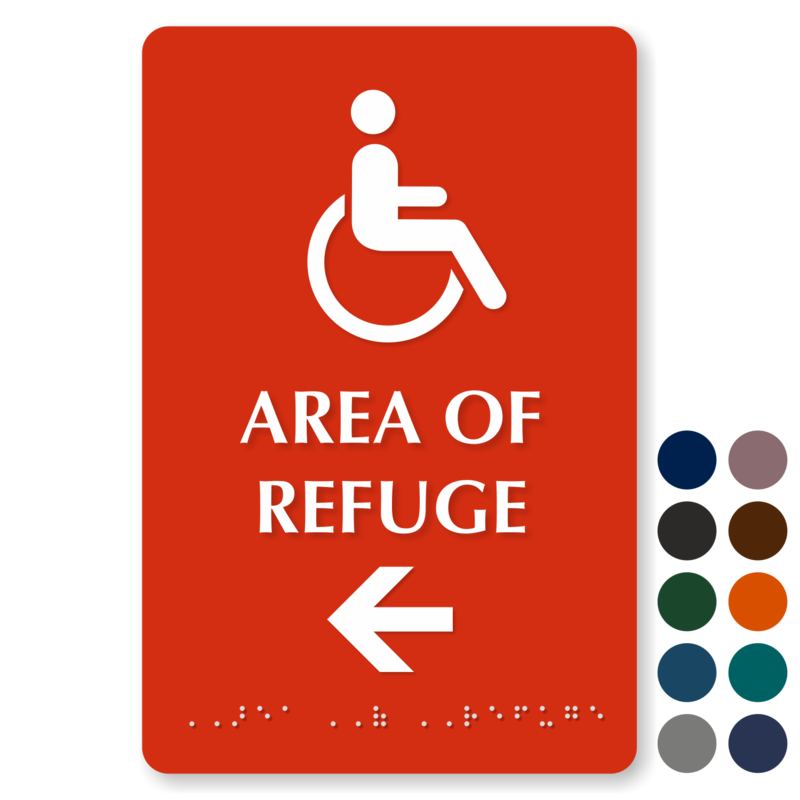 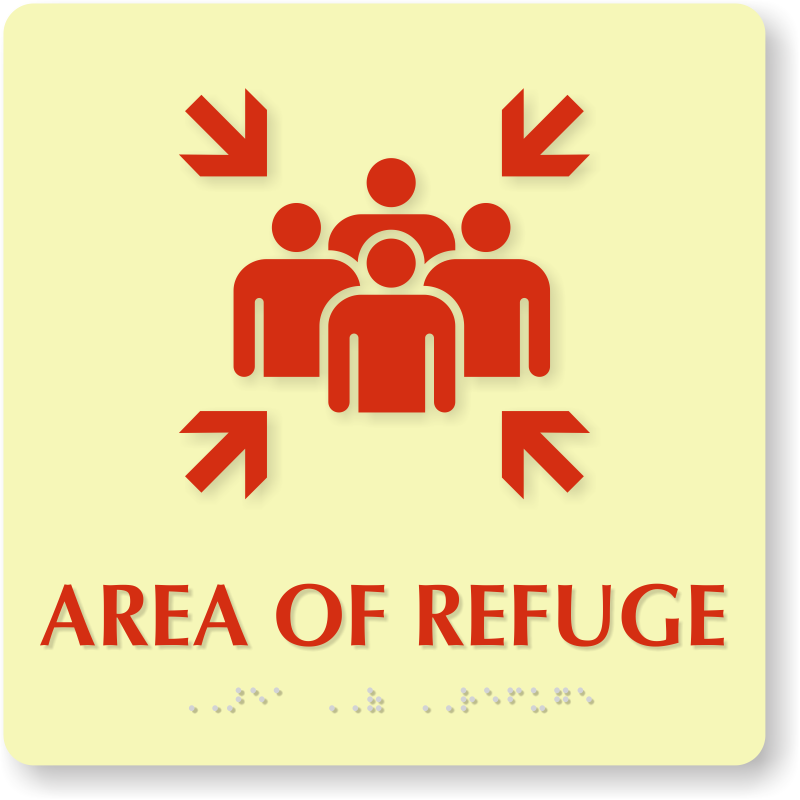 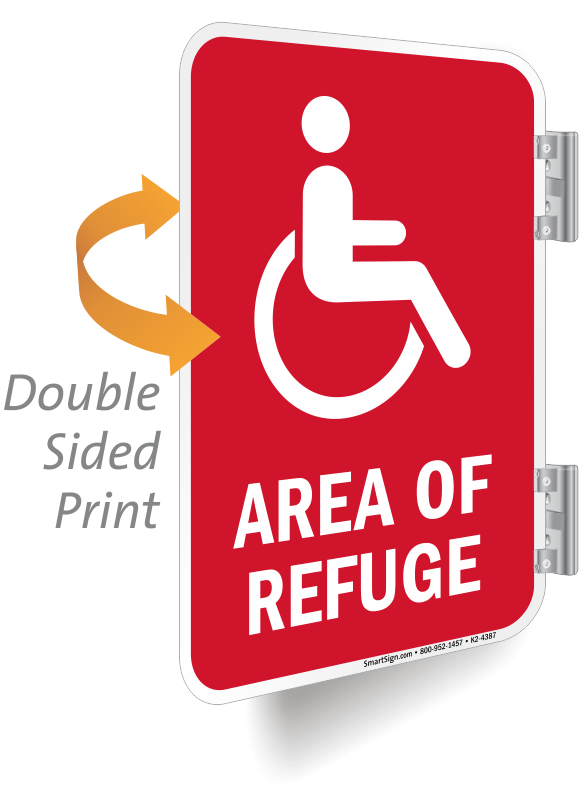 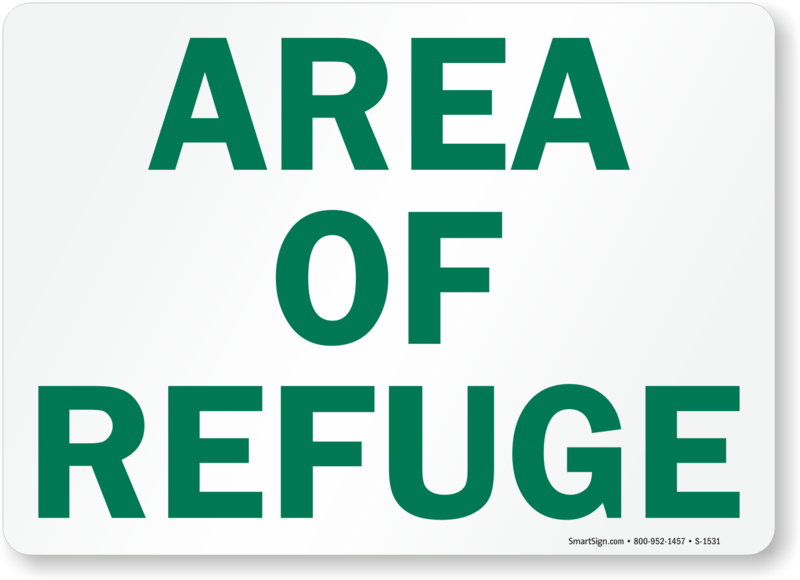 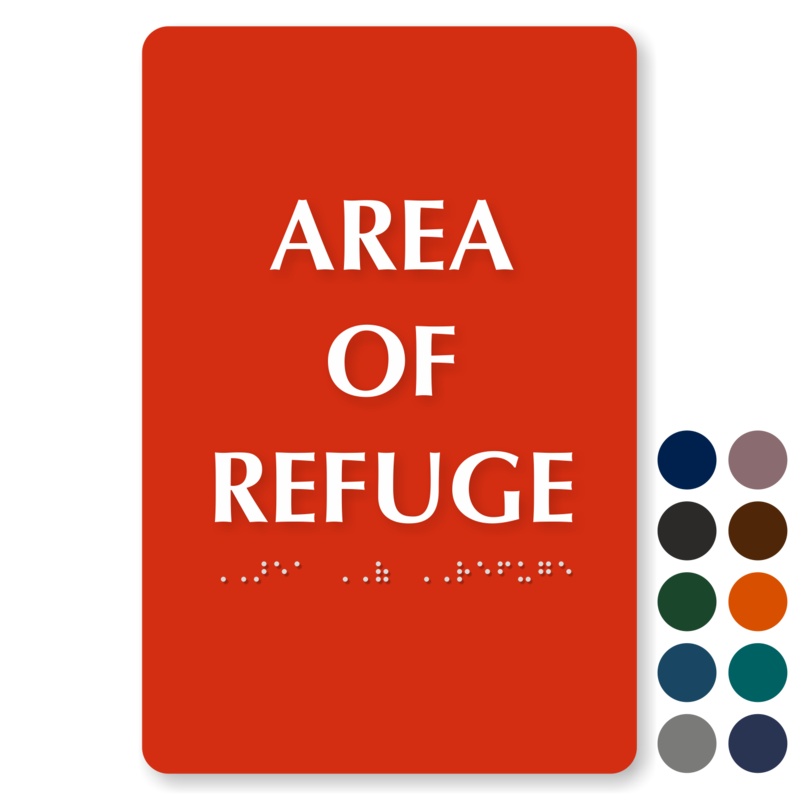 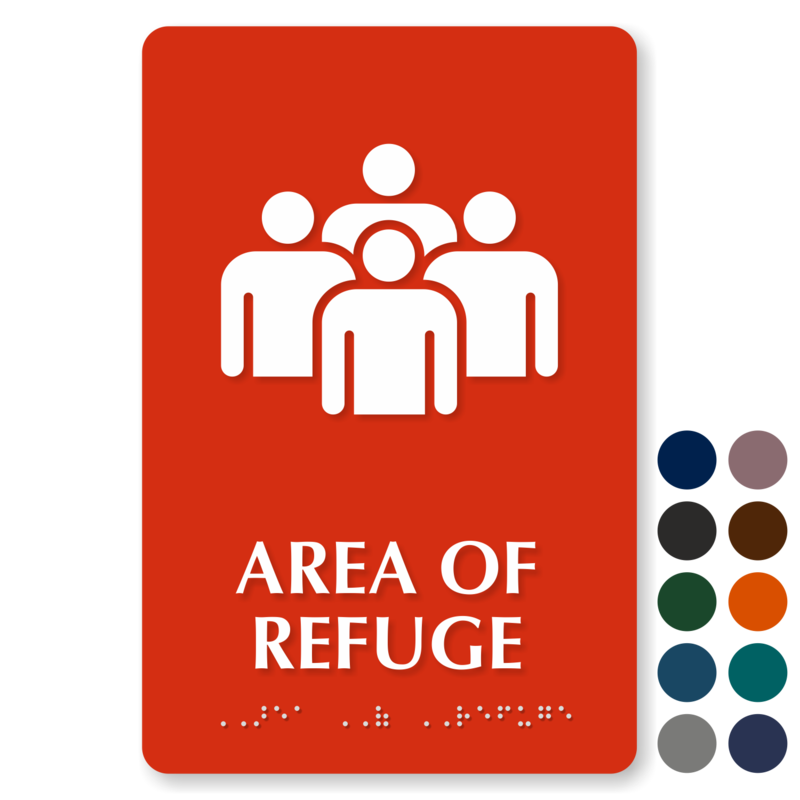 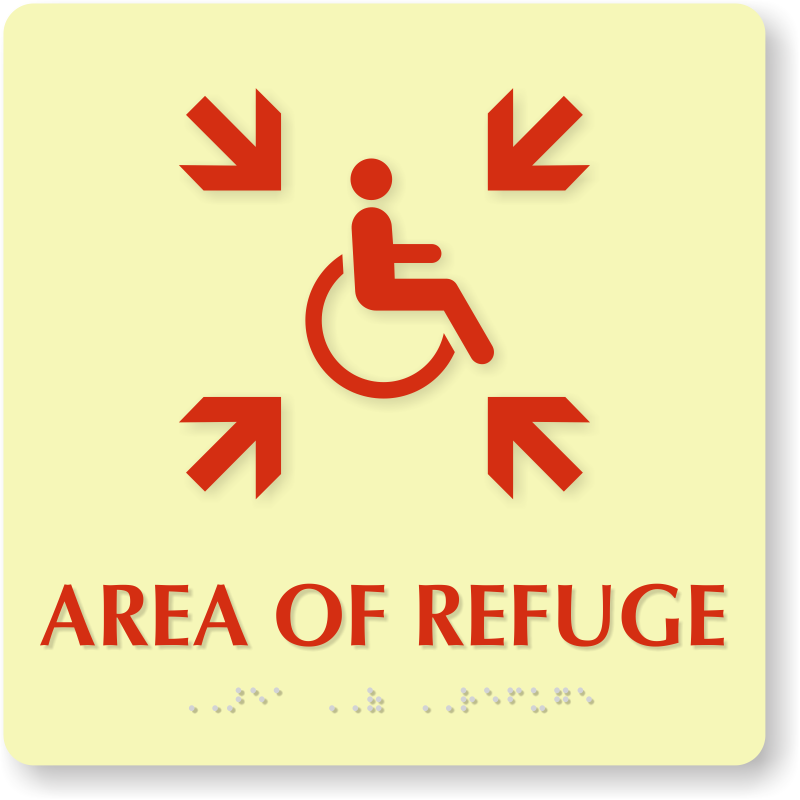 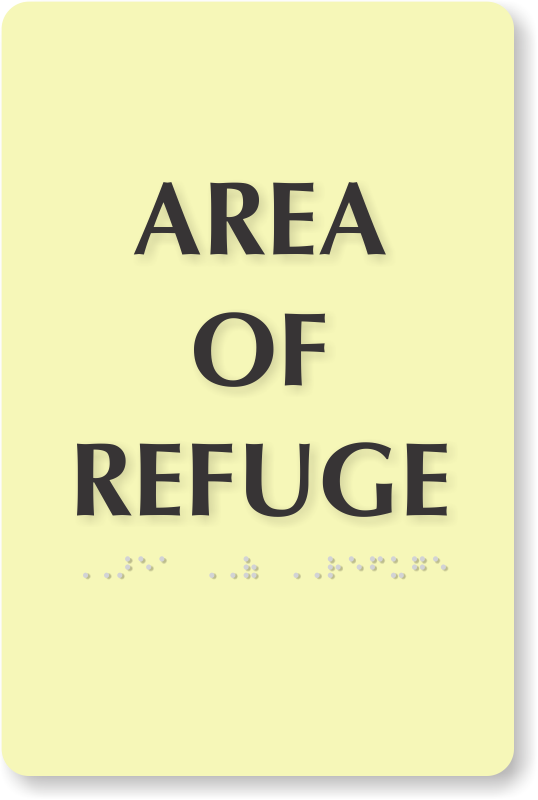 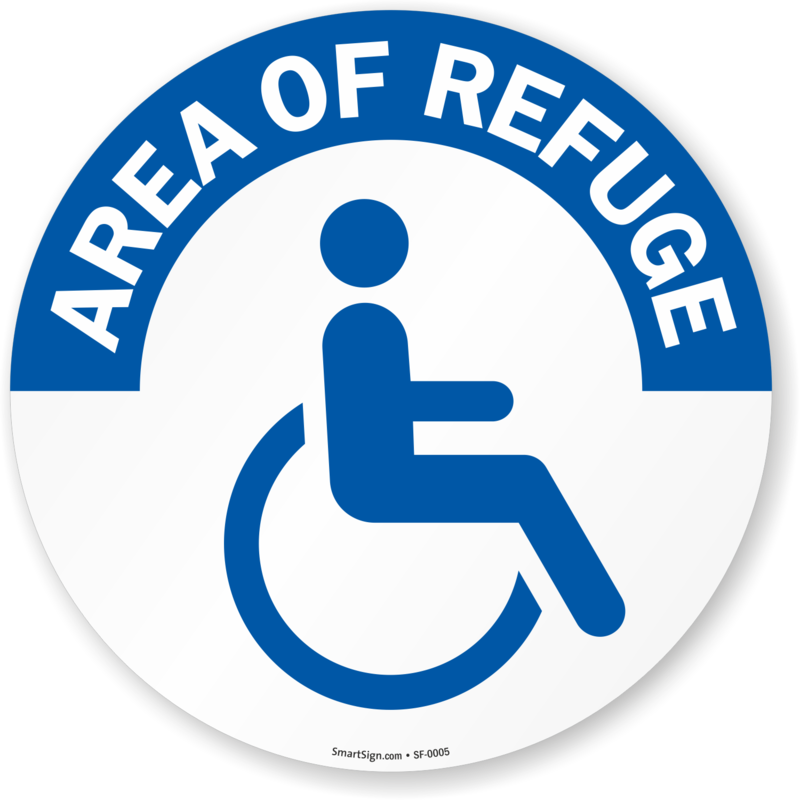 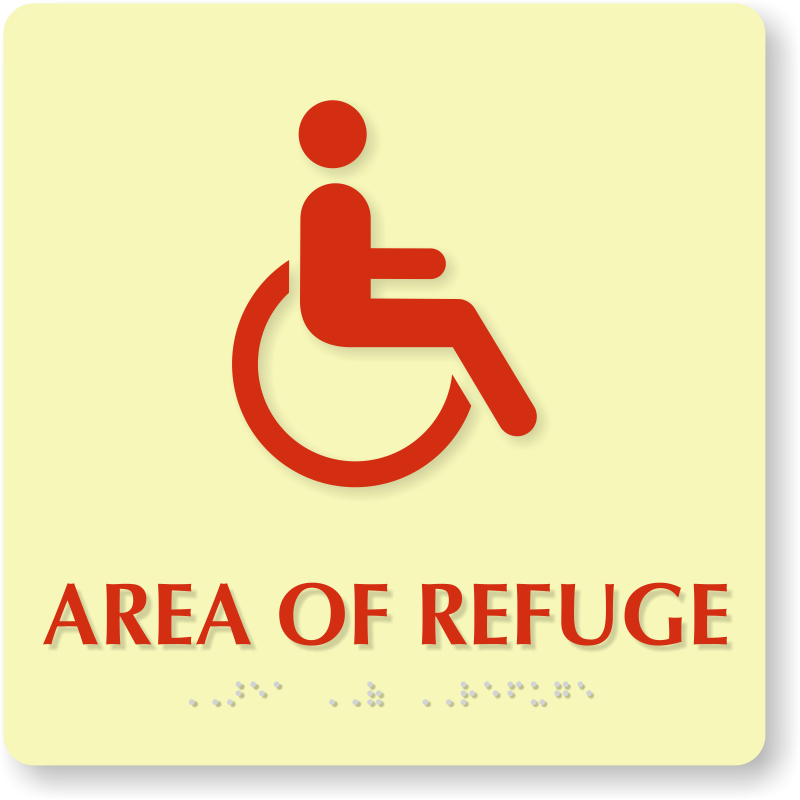 Our signature glow-in-the-dark area of refuge signs are available in glow vinyl with adhesive backing, for every dark environment. • Also available in sturdy, rustproof aluminum materials. 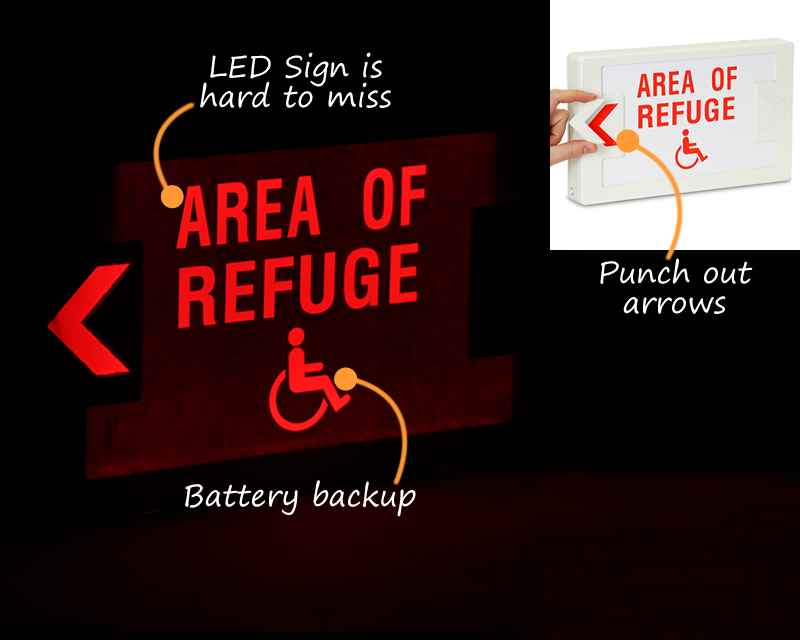 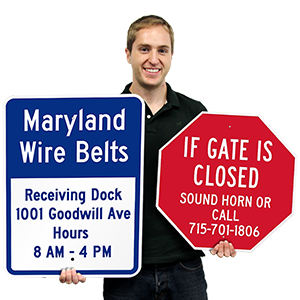 • Glow-in-the-dark signs absorb light during the day and glow at night or during a blackout. 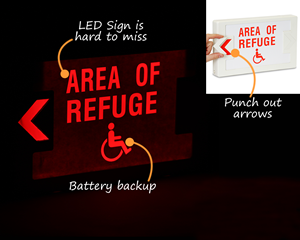 • Easily spot and recognize bold lettering, even in the dark. 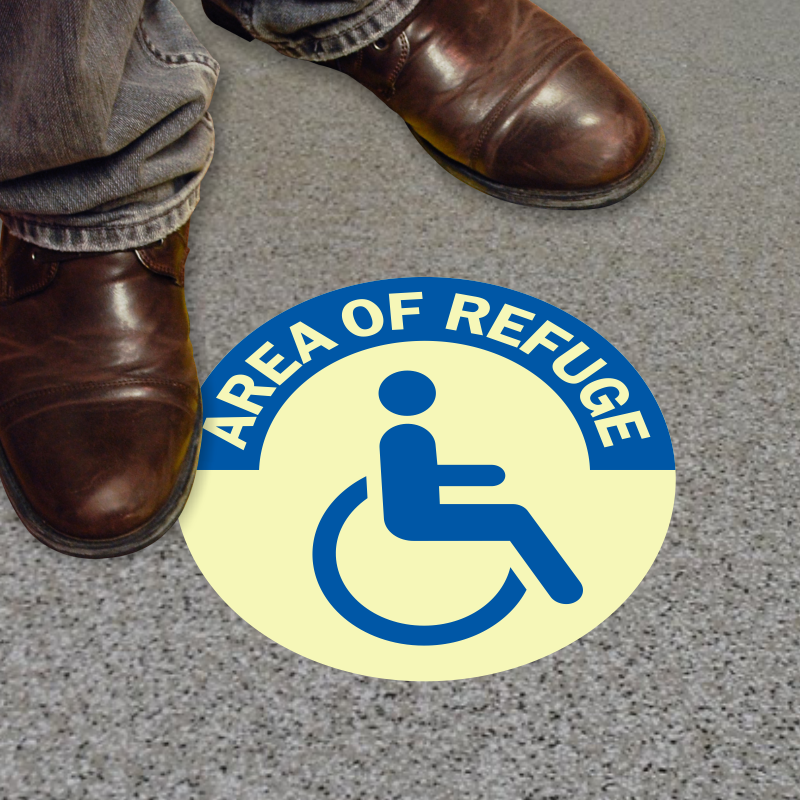 • Sturdy material withstands harsh weather conditions. 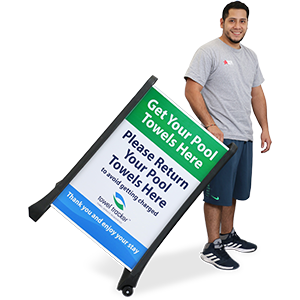 Quick and simple installation.